This week officially marks my one year of wearing Invisalign! It feels like this year went by really fast. To be honest, I can't remember what my teeth looked like when I first started. 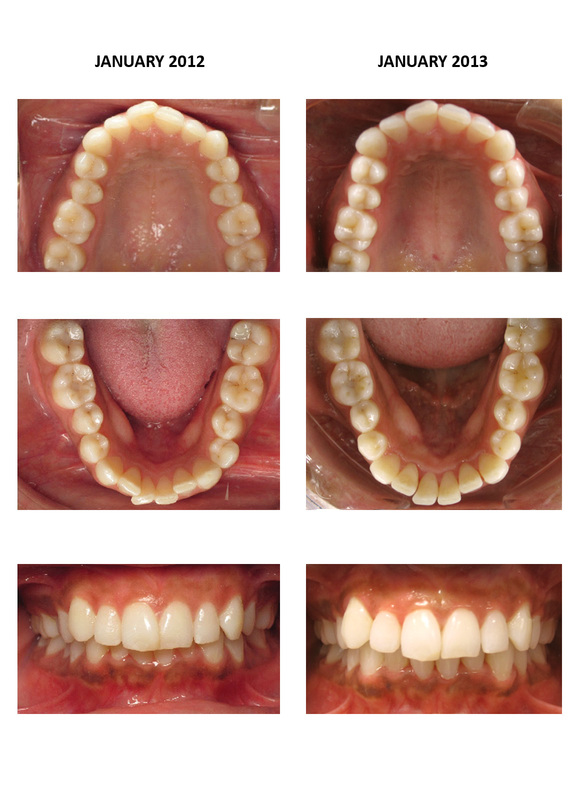 A few weeks ago, I received my mid course correction aligners (MCC). 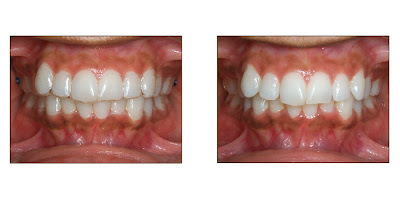 It felt so GOOD to have aligners that fit completely snug and perfect around my teeth! My previous aligners had a slight 1mm void between the edge of my front teeth and the aligner itself (due to missed IPR date). To all those who are self conscious about how the trays look like on and off, I've posted a picture below so you can see the difference. I can almost guarantee that no will notice your aligners (especially with no attachments). As promised, I've posted pictures showing my progress from this past year. Enjoy! Feel free to comment or ask any questions! 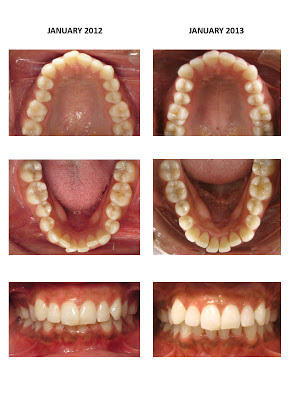 I am wearing my MCC aligners in the picture on the left. Barely noticeable. 1 year progress photos. My front teeth have changed so much. I can't wait to see the final product! Thank you for reading! The next time you hear from me will be when I get my attachments on (about 2 weeks)! I'll definitely take some pictures to show you guys!